The 2018 recipients of the Warrior Award with Colloquium Co-Chairs Drs. Jerlando F. L. Jackson and James L. Moore III. Dean Watson is second from right. Watson admitted he was totally surprised to learn he would be receiving the award. “I like to think of myself as a humble person who goes about the world living my best life and making a different whenever and however I can. I know to change the world takes many small gestures as large ones. It is work I will continue to be involved with, and I am so blessed to be at the university and school where my work is valued by my colleagues and peers,” Watson said. 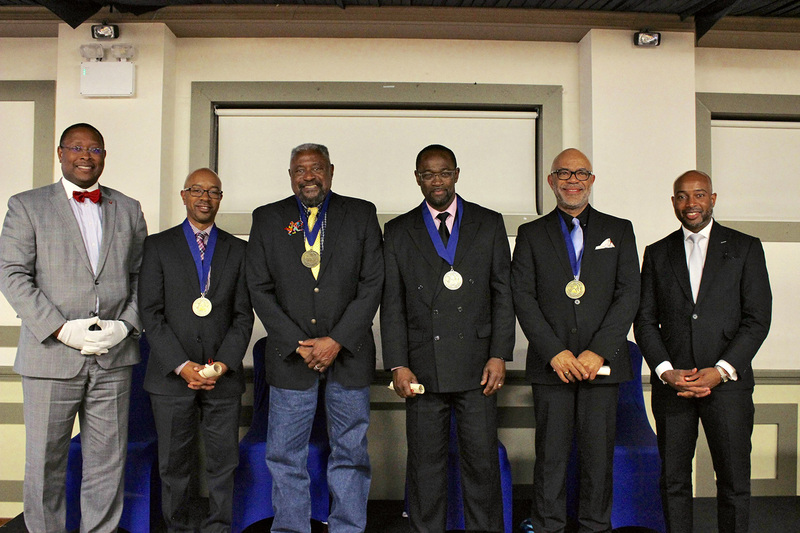 The seventh annual International Colloquium on Black Males in Education was held on October 24-26 in Dublin, Ireland. The colloquium offered a diverse array of programs that serve to elicit intellectual thought, discussion, and ideas that can be implemented to serve and improve the experiences of black males throughout the world. These activities allowed participants to interact with peers from other institutions and develop a global network of contacts. The colloquium also provides a forum for top researchers, high-impact practitioners, policy makers, funders, and students from across the globe to share their knowledge and perspectives, as well as to learn from global research strategies that inform education policies and programs on black males in education.